Spiritual warrior - strength & wisdom. It indicates that when we open our heart to the pervasive divine energy of pure unconditional love, we will find the ultimate universal protection that we wish for. Generally our understanding of worldly love is contaminated by our own selfish wants. I speak here of the pure love that transcends the 'self'. This is indicated through the flow of energy entering the crown as represented within this Taonga. This kind of love is rangiwhāwhā - all pervasive! 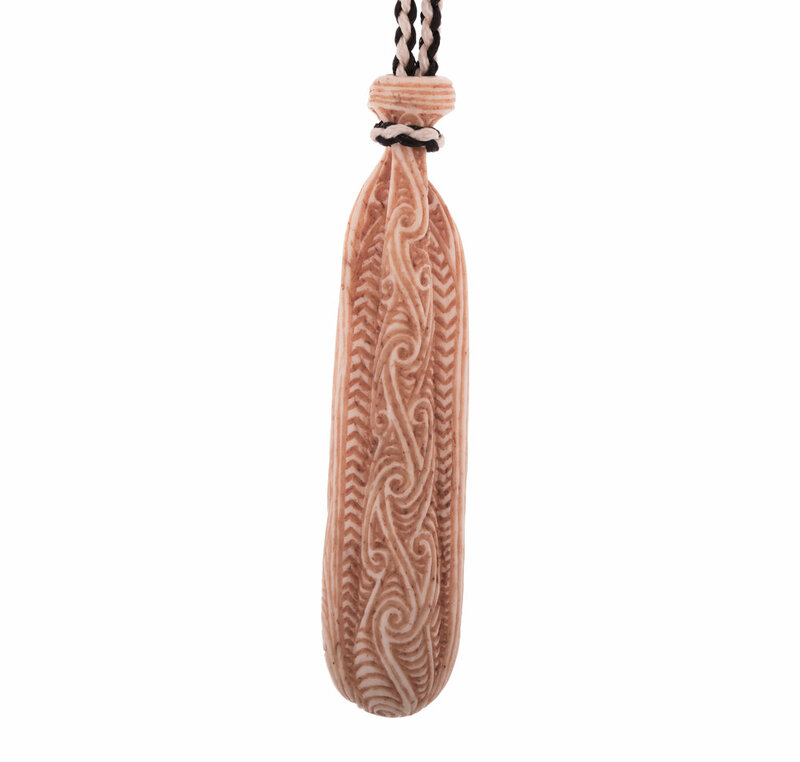 There are also many other levels of meaning contained within this Taonga. It also comes with an officially signed certificate of authenticity and has been registered in my database of work.